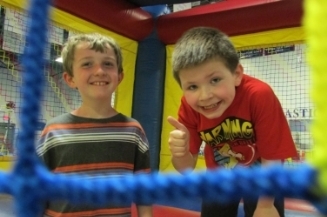 One Stop Fun provides the ultimate summer camp experience for kids. With our air conditioned facility, and our outdoor interactive swimming pool, there’s no better place to offer your child a summer of non-stop fun with flips, trips and dips! All camps comply with applicable regulations of the Massachusetts Department of Public Health and are licensed by the Board of Health. All camp activities are supervised. Early drop off at 8:00 and late pick up at 5:30 are available for $12/hour. Lunch and snacks can be purchased from One Stop Fun when you drop your child off at camp. Save 10% (i) on the 2nd sibling registered for a weekly camp at the same time or (ii) on the 2nd week if your child registers for 2 weeks or more at one time! Get a free T-Shirt when you register for a week of camp! 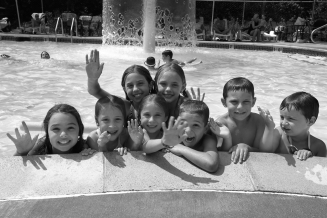 We offer our Non-Stop Fun, Kinderkids and Gym & Swim Camps (see descriptions below) daily throughout the summer. 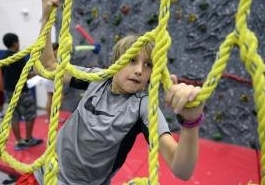 In addition, we offer specialty Ninja, Cheer and Drama camps during the weeks set forth below. Enrollment in our specialty camps is limited. Reserve your child’s spot today. Still have questions? Contact us at 978-692-9907 or HERE. Description: Arts & Crafts, Cooperative games, Sports, Gymnastics, Rock Wall, Moonwalk, Free Gym Play, Group Activities, Daily trip to Indoor Playground & Pool Plaza. Description: Arts & Crafts, Cooperative games, Sports, Gymnastics, Rock Wall, Moonwalk, Free Gym Play, Group Activities, Daily trip to Gym Mania & Pool Plaza. 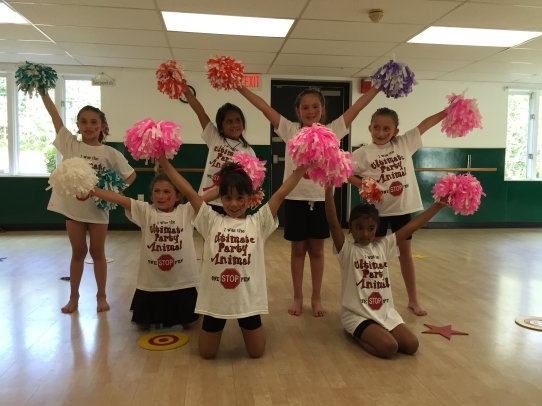 Description: This well-rounded camp includes a wide range of instructional gymnastics and swimming lessons, as well as all of our other camp activities. Description: Calling all Ninjas!! Participants will spend the week tumbling, jumping and climbing like a ninja, and enjoying our other camp amenities such as the expansive outdoor pool plaza and air conditioned indoor adventure center. Come experience this amazing summer camp offering! Snacks and lunch may be brought or ordered and paid for at the front desk each day or by the week. Cost: $395/week. Come back for a 2nd week and take 10% off! Description: Kids learn how to perform theatrical skits along with costume and stage design. This program includes all of the other camp activities too! Description: A full week of cheering, jumping, stunting, tumbling, lots of smiling and of course, all of the other camp activities too!